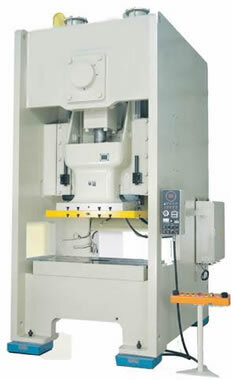 The solid steel frame of the DSC series Stamping Press is designed to withstand Stamping thick gauge metals. The D frame construction ensures stability, accuracy and reliability. Wet or dry clutches can be fitted and all drive gears are precision ground. An overload protection system is fitted to all presses. Capacity ranges from 60 to 260 Tons. 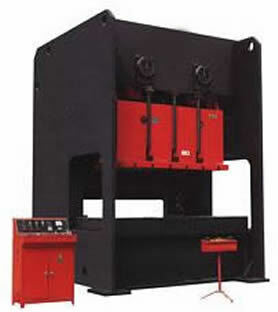 The solid steel frame of the DDC series Stamping Press is designed to withstand Stamping thick gauge metals. The D frame construction ensures stability, accuracy and reliability. Wet or dry clutches can be fitted and all drive gears are precision ground. An overload protection system is fitted to all presses. The wide D frame opening maximises coil handling and coil feeding equipment. Capacity ranges from 80 to 400 Tons.